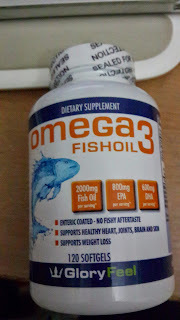 I have been drinking omega fish oil for sometime now. I have tried many brands already, as prescribed by my doctor and some I have bought on my own. And so far, of all the brands I have tried, this one does not give off that fishy smell and taste. I also noticed that my burp didn’t have that fishy after-taste which I have experienced with the other brands. The size is almost similar with the other brands I have taken. 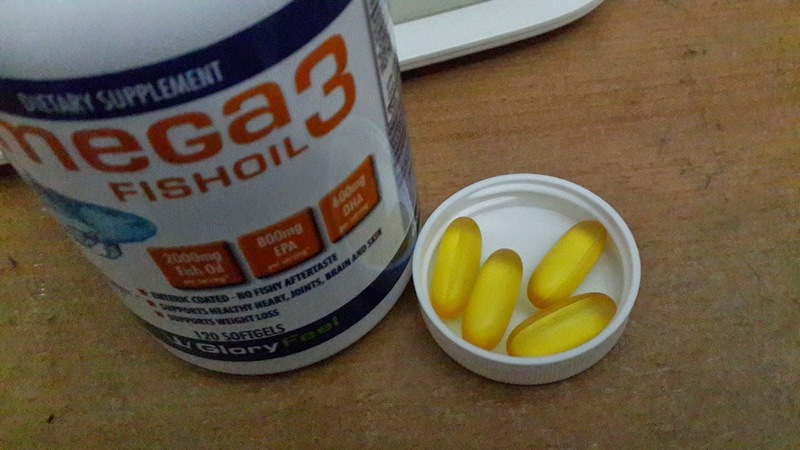 The one thing that I noticed right away from Gloryfeel’s Omega 3 Fish Oil is that it is not glossy. It still comes in a gel-like capsule but it has matte texture so it does not stick with the other capsules inside the bottle. That is a plus factor for me because the one I am taking (Vitamin World Omega 3 Fish oil) before I tried this brand, the capsules stick to each other so I have to shake the bottle to loosen the contents. 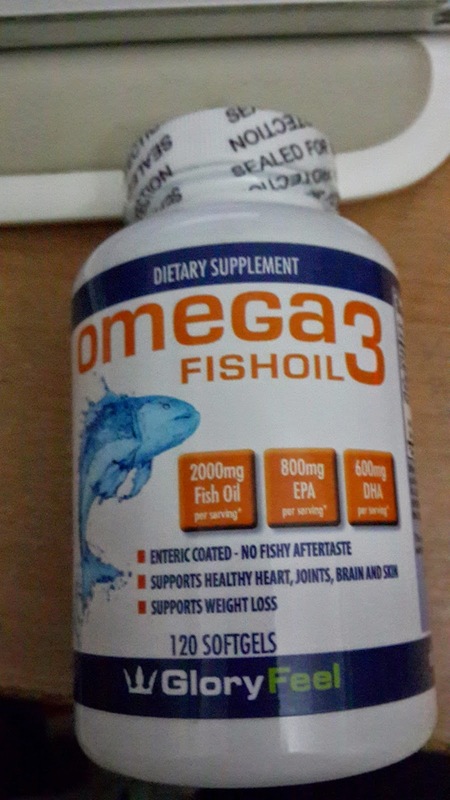 Each capsule contains 2000mg fish oil, 800g EPA and 600mg DHA. And it contains fish oils from herring, anchovy, sardine, salmon and mackerel which is clearly indicated in the bottle label so those with allergic reactions are informed. Omega 3 fish oil is beneficial to one’s health. It improved good cholesterol level, healthy heart and joints, brain functions and skin texture. According to the label of this product, it also supports weight loss. So far, I have not noticed any remarkable change in my weight since I am not dieting nor exercising. So I cannot provide any input in that aspect. I do recommend this product. However, like any other precautions to take when ingesting supplements, please check your physician especially if your are taking medications for known conditions.